Highlights from high-end Italian and Australian brands breaking into U.S. The Riot is re-designed for 2017 and includes a Boa closure and a Velcro strap. The sole is heat moldable by the rider for a custom fit. Price is $179. While wandering the vast halls at Interbike, you never know who you will run into. I happened to stumble across an old industry friend who has his own import/sales and marketing company called MC2 Sports Specialists. Ming Tan is the driving force behind the company and he is an industry veteran who has worked for brands such as Look, Ritchey Design, Capo Cycling and more. 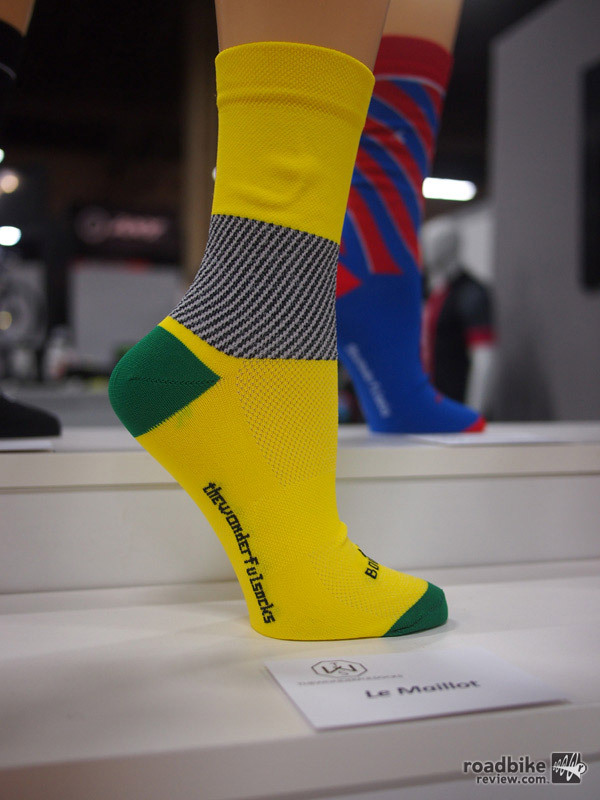 He is currently importing several high-end brands that specialize in handmade products like Astute, Raceone and The Wonderful Socks from Italy, and Bont Cycling from Australia. The carbon composite sole of the Riot from Bont. 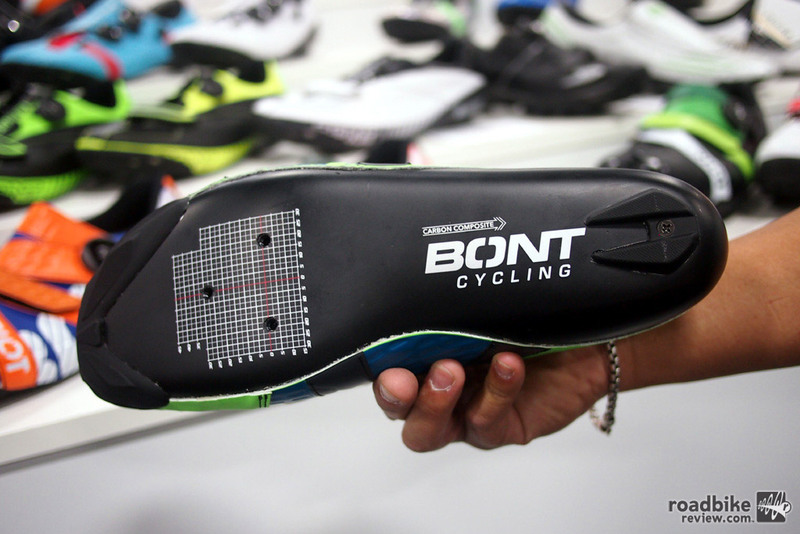 Bont is an Australian brand that started as a high performance skate manufacturer. They were innovators in this category with heat-moldable shoe forms. The Bont Riot road cycling shoe is completely redesigned this year and uses a carbon composite sole that is very light, yet very stiff. There is zero flex for maximum power transfer. The Riot has a synthetic upper with a Boa closure and a Velcro strap. At this price point, the Boa closure is a solid feature and the shoe is also heat moldable (like all Bont shoes) for comfort and fit. To achieve that custom fit, the rider can heat mold their shoes at home with a toaster-oven. Set it for 160 degrees for 20 minutes and that will do the trick. 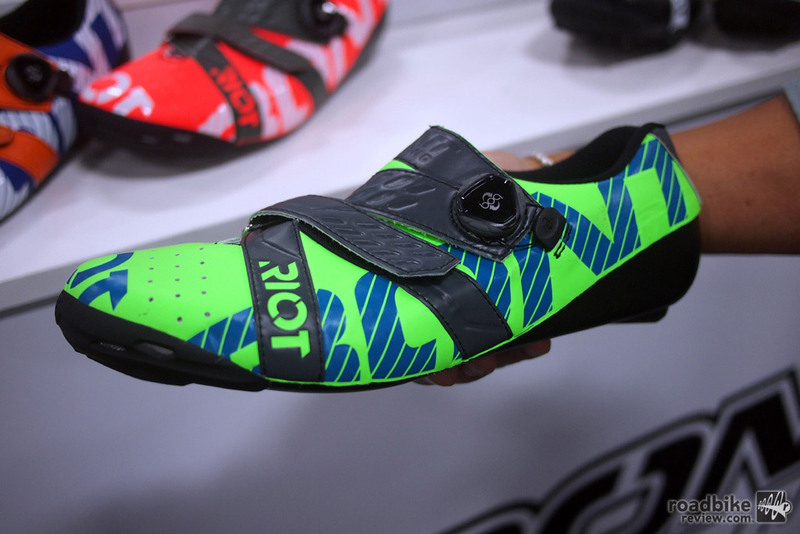 The Bont Riot sells for $179 and there are also custom color options available. To learn more, visit www.bontcycling.com. The Astute SkyCarb VT is a full carbon saddle with triple density memory foam and carbon rails. Astute is a fairly new brand, having started up about three years ago. 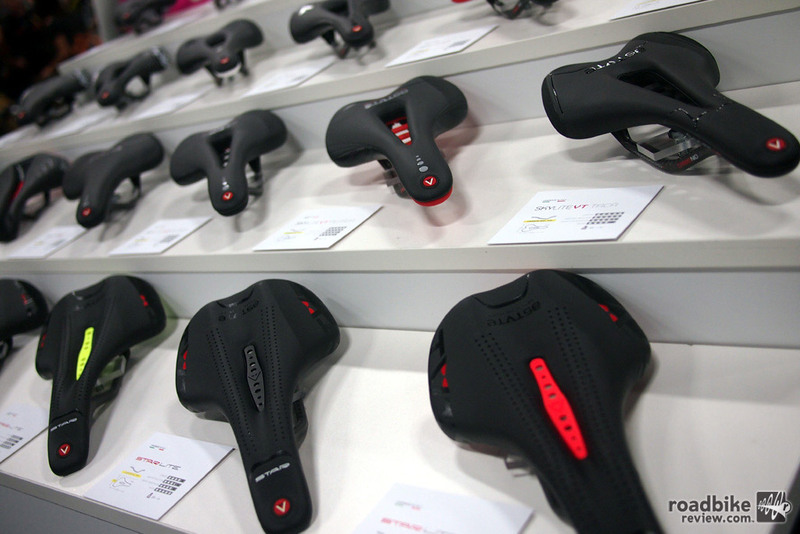 Their chief designer came from Selle Italia and worked for 40 plus years on many of their most popular models. The Sky series is the marquee line of Astute saddles and featured here is the SkyCarb VT with a dual shell construction with an outer carbon shell mated to an internal nylon shell. 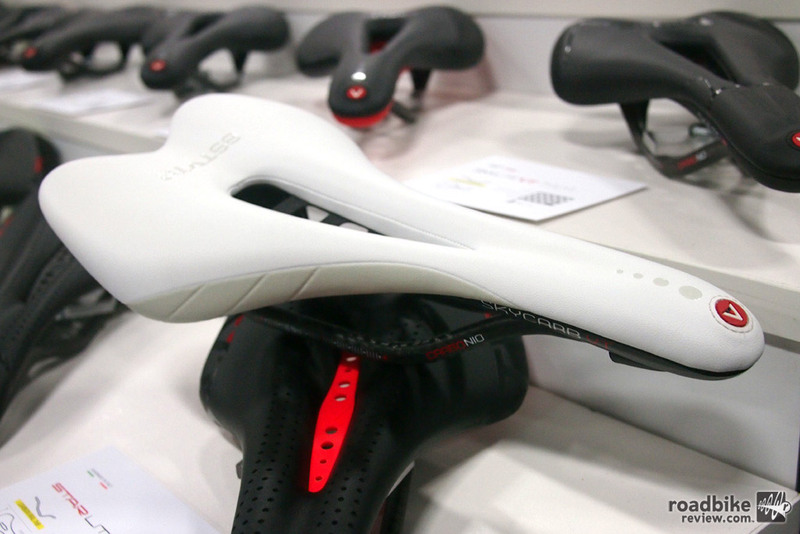 This saddle also uses triple density memory foam. The foam is progressive from the rear to the front, firmer in the back, medium in the middle and softer in the front. Like with mattresses, pillows or car seats with memory foam, once you are set into your position on the saddle, you’re less likely to fidget around. This provides a more secure, more comfortable ride than a traditional saddle. Where the memory foam can really help is during longer rides when you might start to squirm around trying to find a more comfortable position, the memory foam will hold its shape and comfort. Everything is made in Italy, from the rails up and materials are all sourced from high-end carbon, foam, microfiber factories. Weight of the Astute SkyCarb VT is approximately 170 grams and the width is 135mm. Astute also offers their SkyLite series that uses two nylon shells (versus the single carbon shell of the SkyCarb). The SkyLite models come in 135mm and 145mm widths. They also offer the StarLite series of saddles which have more curve and provide a different shape profile. The StarLite is more curved while the SkyCarb and the SkyLite have a more flat shape. Both the SkyLite and the StarLite are available in either titanium or carbon rails. The SkyCarb is full carbon which includes the rails. The top-of-the-line Astute SkyCarb saddle runs $499. Also available from Astute is three versions of bar tape that will retail for $35. To learn more, visit www.astuteitalia.com. The Wonderful Socks is an Italian brand that uses polypropylene and carbon in their handmade sock line. 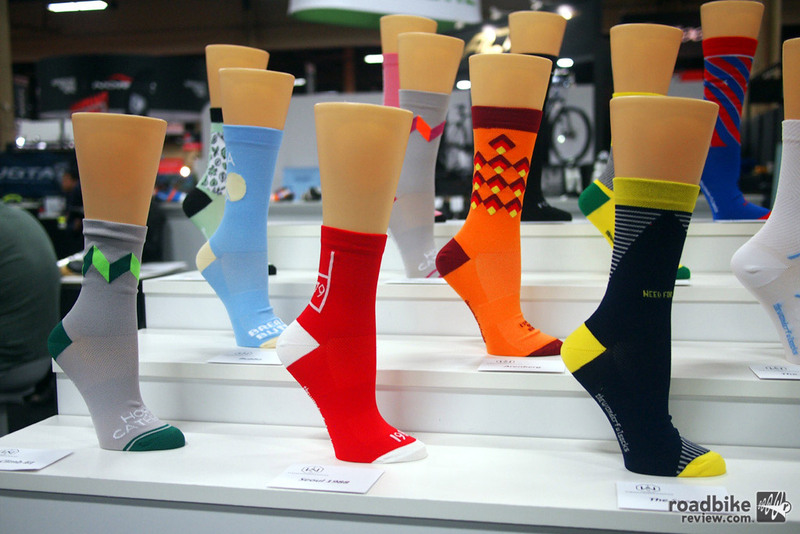 The Wonderful Socks makes one model of cycling sock that comes in 16 designs. The socks are all made in Italy, from polypropylene and a material they call “resistex carbon” for durability. The polypropylene material gives better thermo insulation than wool but is still lightweight and breathable. The Wonderful Socks are designed with performance for on-the-bike, but also have unique Italian flare for just lounging around post-ride. The socks come in small, medium, and large. Price is $22. To learn more, visit www.thewonderfulsocks.com. Raceone is an Italian manufacturer that produces polycarbonate bottle cages. Raceone is an Italian brand that specializes in bottle cages, water bottles, and other accessories but for now, MC2 Sports is just bringing in the water bottle cages to the U.S. 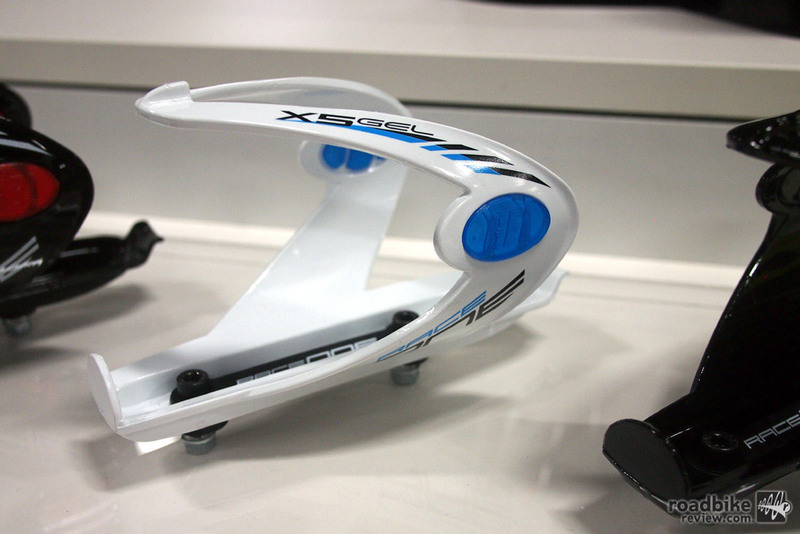 The Raceone X5 Gel bottle cage shown here has an all polycarbonate construction. The gel insert is designed to grip the water bottle better to prevent ejections. The price of the Raceone X5 Gel is $20, but they also offer other designs and colors that range from $13 to $20. To learn more, visit www.raceone-it.com. The Riot is re-designed for 2017 and includes both a Boa closure and a Velcro strap with a $179 price tag. The sole is heat moldable by the rider for a custom fit. 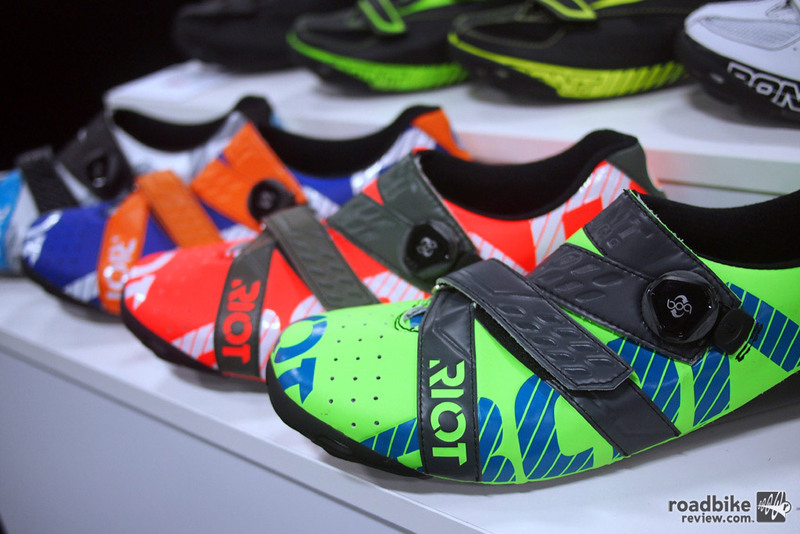 A few of the other color choices in the Riot series from Bont. 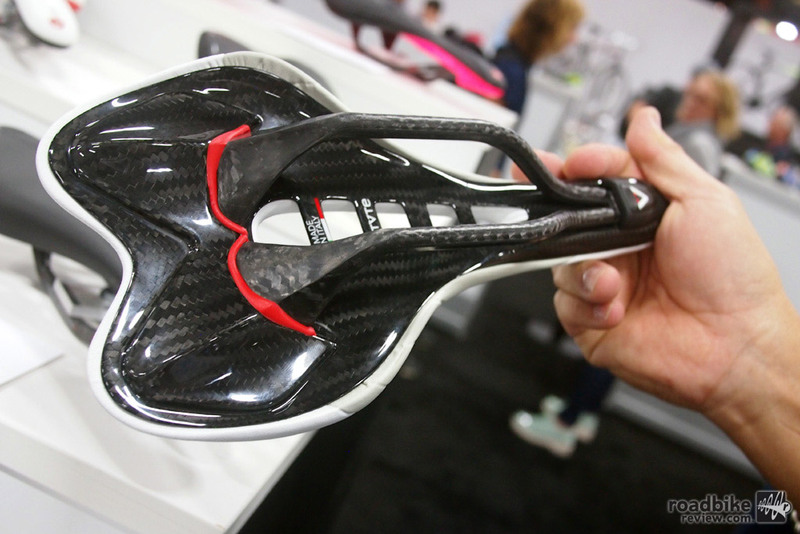 A look at the carbon composite sole of the Riot from Bont. A look at the underside of the SkyCarb VT with carbon rails and elastomers for comfort. 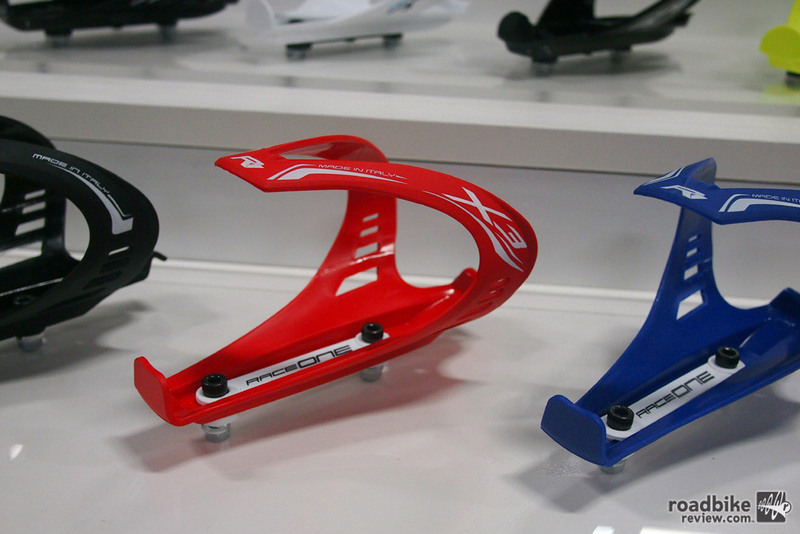 The StarLite and SkyLite series of saddles from Astute. 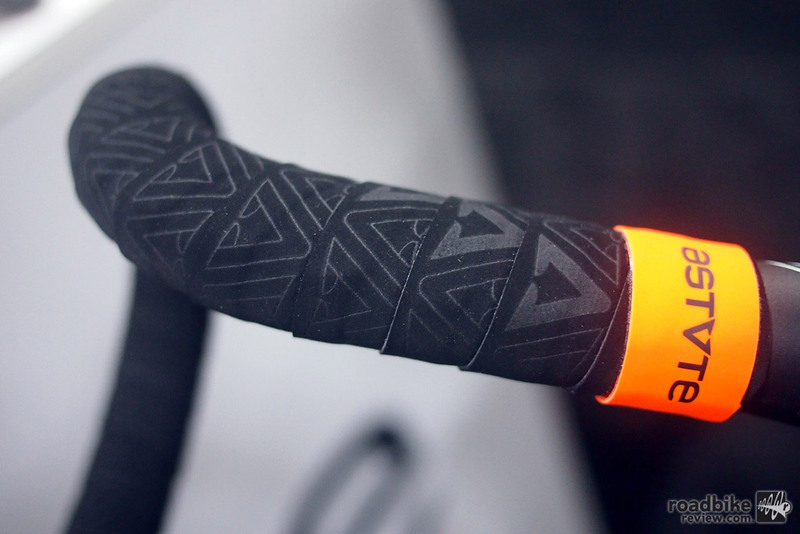 Astute makes three different versions of bar tape with a price of $34.99. The Wonderful Socks combine comfort and fit with distinctive Italian style. Raceone is an Italian manufacturer that produces polycarbonate bottle cages for different categories of riders. The Raceone X3 bottle cages are made in Italy and have a more basic design than the X5. 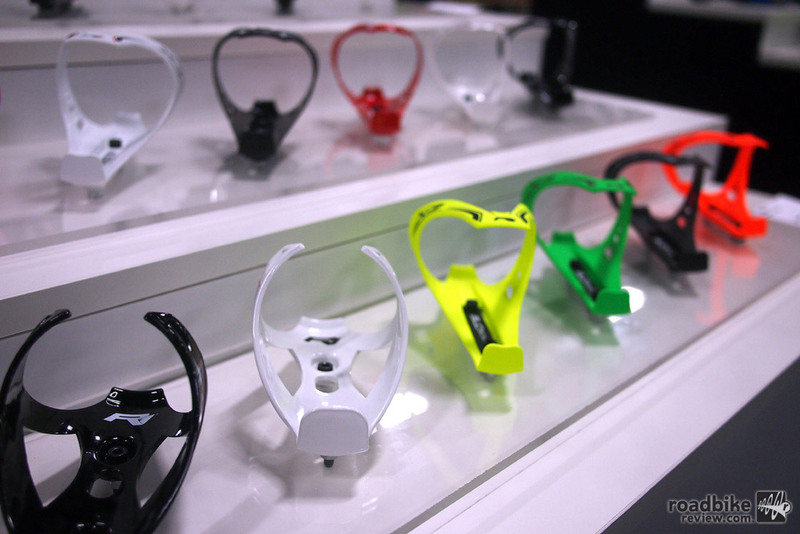 Raceone provides a selection of colors to match almost any rider’s bike or kit.